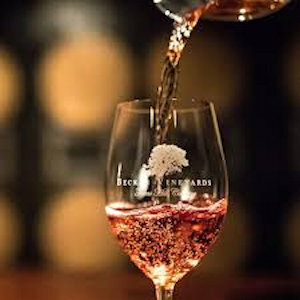 Located in the Texas Hill Country between Fredericksburg and Stonewall, Becker Vineyards was established in 1992 by Richard and Bunny Becker. The vineyards are open for wine tasting, tours, wine gift purchases, and picnics. They are also known for hosting a variety of events throughout the year and they encourage you to attend. Situated in the 19th century German stone barn reproduction, Becker is known for its award-winning Bordeaux, Burgundian, and Rhone-style wines. Becker Vineyard’s winery is a 10,000 square foot facility, which is a reproduction of a late 19th century German stone barn, a prevalent style of the Texas Hill Country. The winery is the largest purchaser of French and American Oak barrels in the state of Texas. Guided tours are conducted hourly on the weekends and on a limited basis during the week. The production and bottling operation is a year-round process. Their “state of the art” Italian designed bottling equipment was customized just for Becker Vineyards and processes 55 bottles per minute. Many of their wines are fully distributed within Texas and may be purchased through retail outlets. Most of the wines they feature at the winery are winery exclusive.